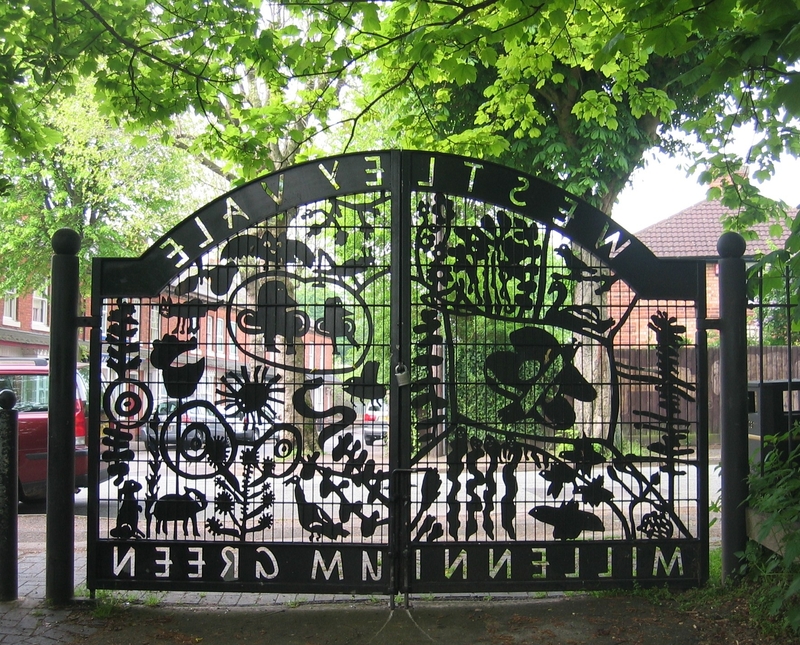 The Westley Vale Millennium Green celebrates 10 years on Saturday at The Avenue gate. Amazingly it has grown in every sense of the word – natural greenery abounds which is kept in check by volunteers from the community. In keeping with the green theme we have asked the Lord Mayor to plant a tree and the local Pagan Group to give the site a blessing ritual followed by some wassailing which everyone can in with. Fire Juggling will provide more entertainment. To keep out the cold the Scouts are selling hot drinks and food. The event will end with a candle lit procession around the Green. Come along and help celebrate the Millennium Green’s continuing existence as a green open space maintained and used by the local community. This entry was posted in Events and tagged 10 year celebration, Acocks Green, Birmingham, c, cast iron gates, Cottesbrooke Infants School, fire juggling, lanterns, lord mayor, pagan, pagan blessing, scouts, tree planting, Westley Vale Millennium Green. Bookmark the permalink.